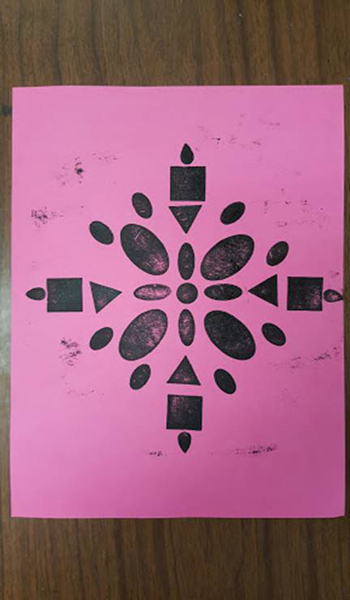 Project Description: Students will work with the element of art; balance to create a radial symmetry collagraph. 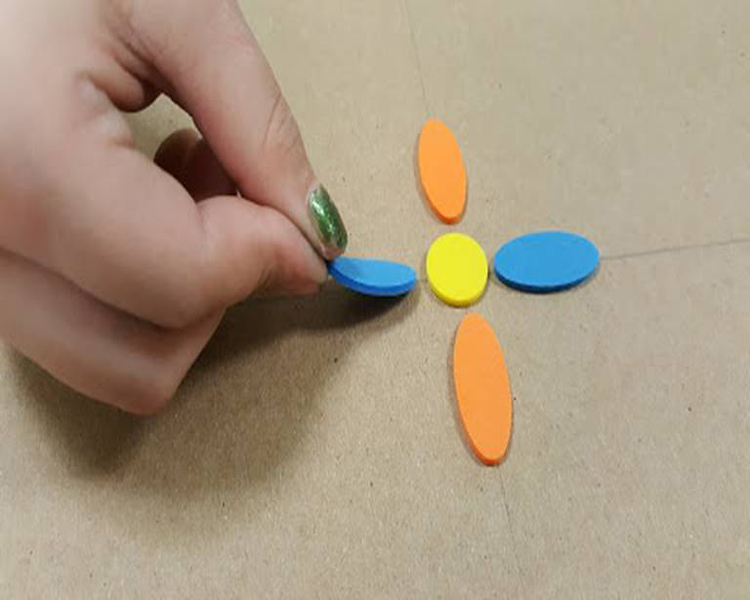 Create radial designs using flat foam then use Grafix Artist-tac to adhere the shapes in place on a piece of Grafix Chipboard. 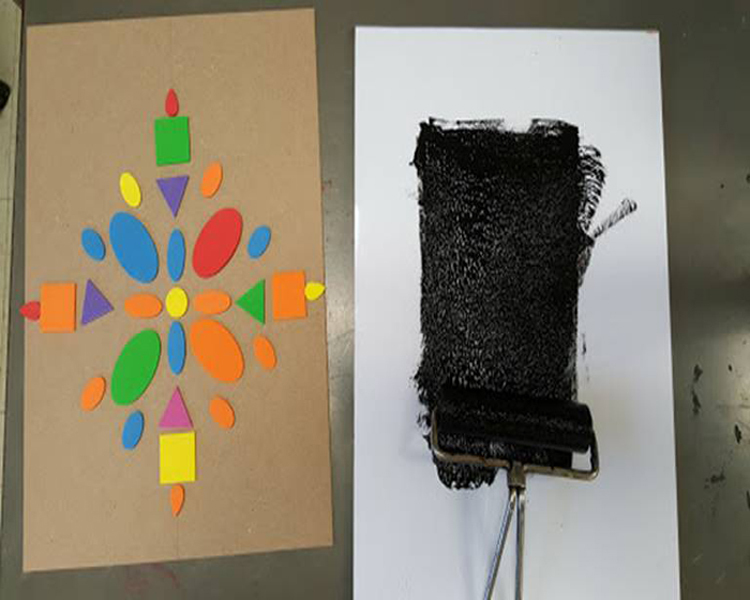 The chipboard will become a collagraph. 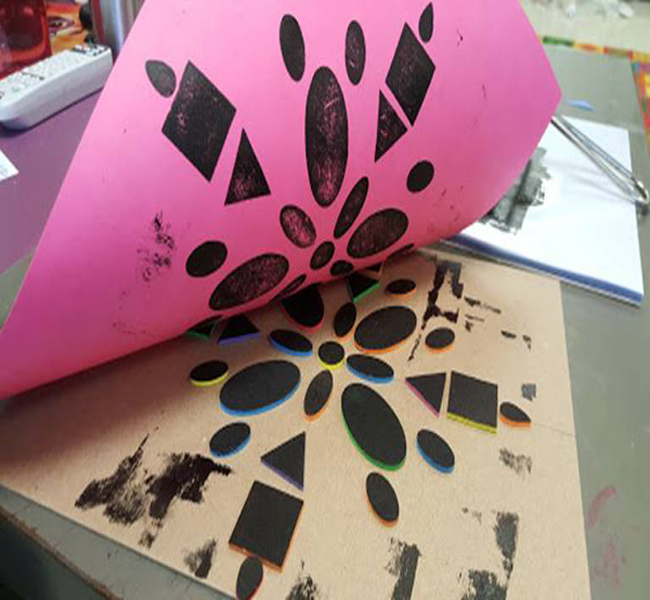 Introduce students to the printmaking terms; collagraph, print, edition, brayer, ink, etc. 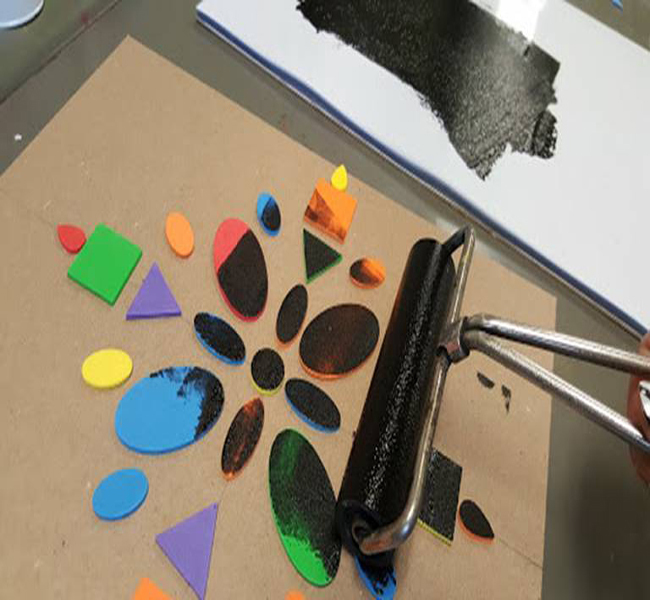 and demonstrate how to ink up the collagraph using printing ink, a brayer, and the Grafix Inking Palette. 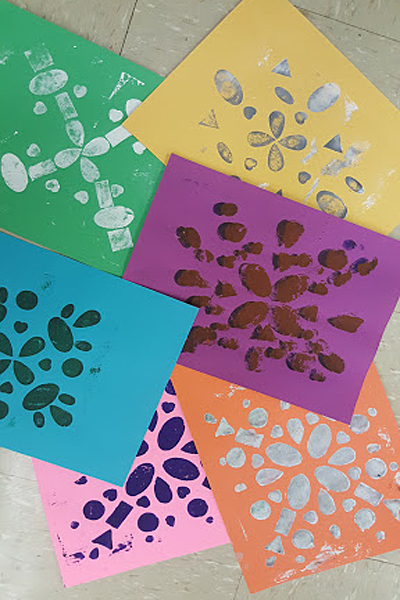 Have students create an edition of three or more prints. 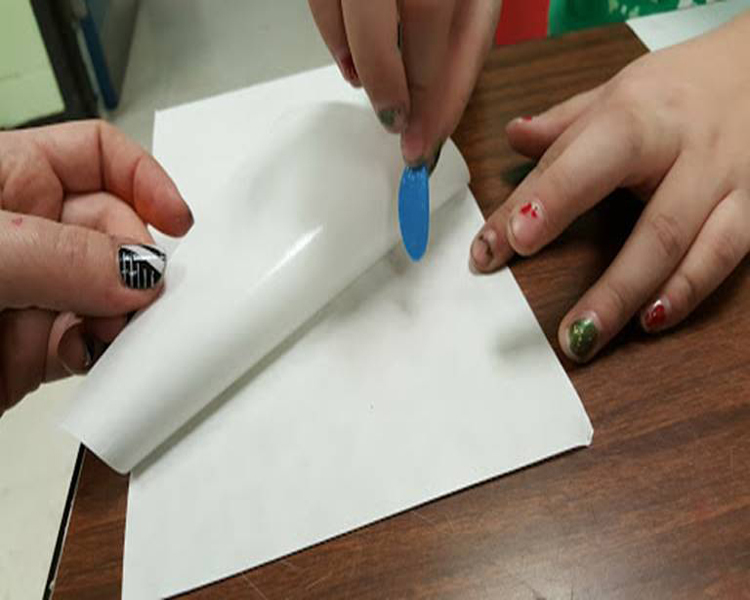 Students should sign and number their prints when complete.